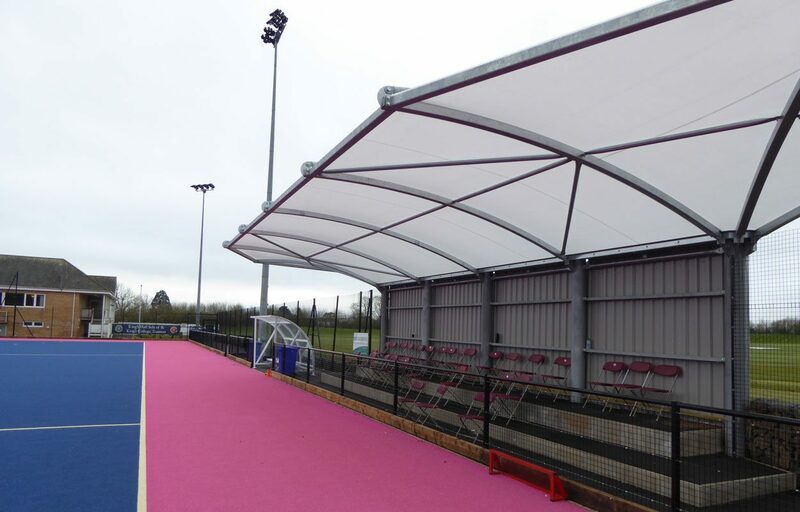 Spectator canopy fabricated for sports ground in Somerset. 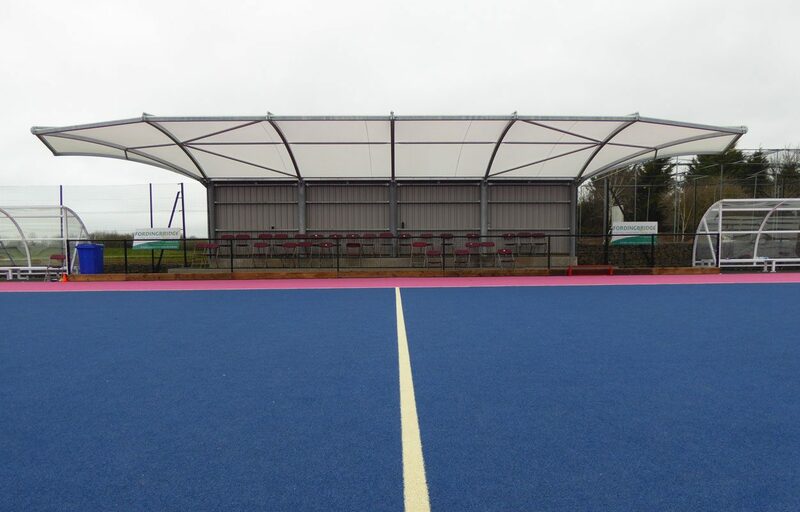 Fordingbridge were delighted to design and build this bespoke spectator canopy for Taunton Vale Sports Club, Somerset. The striking design allows supporters to watch their team in comfort, whatever the weather. 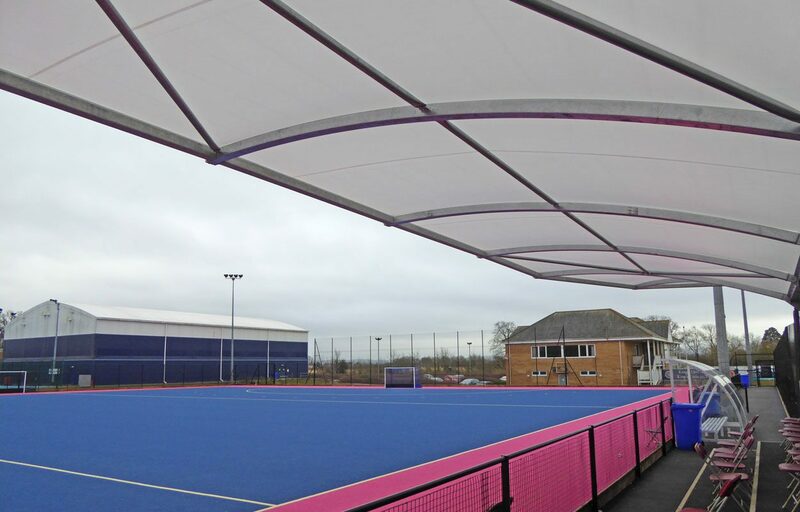 The cantilevered structure utilises an Opal 60 fabric roof covering that has been developed exclusively for Fordingbridge. 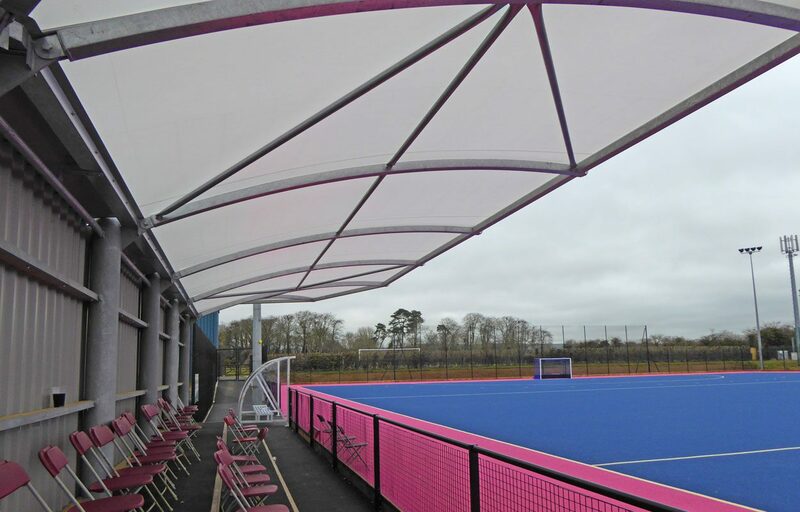 The high tenacity polyester based cloth has high UV resistance, is 100% waterproof and has a 10 year guarantee. Fordingbridge is a fully CE mark approved manufacturer of steel fabrications. All of our steel work is designed and manufactured by our in-house technical teams. Precision in design and engineering will ensure a quick production for your convenience.